The new 2017 Honda FourTrax Recon ATV is an incredible quad bike and gives an excellent performance in all-weather condition. 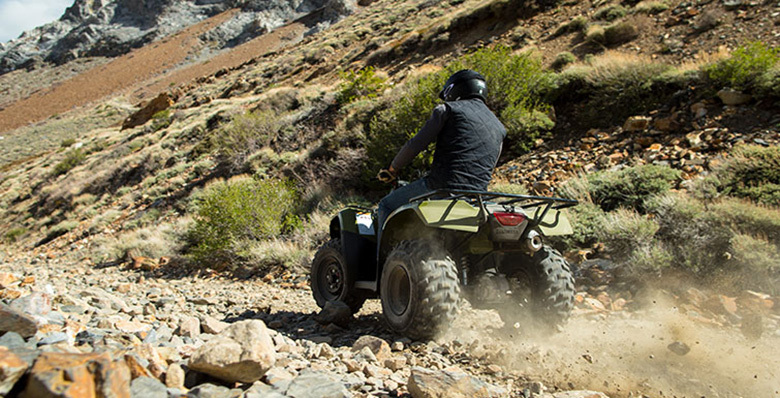 Don’t worry about its small size, it is manufactured by one of the Best Quad Bike Brand in the world of all-terrain. 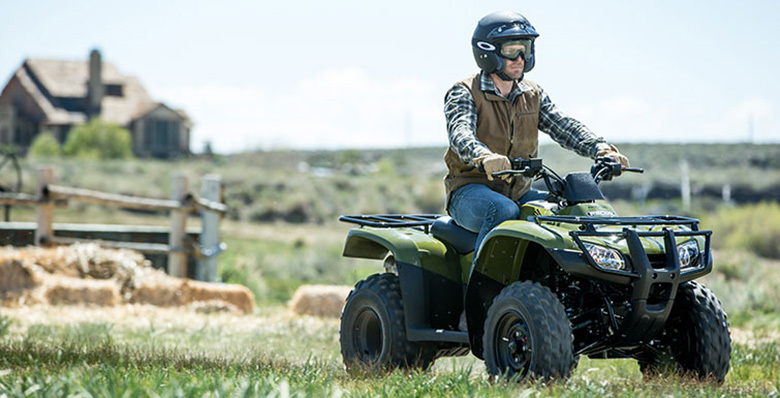 This quad bike offers the powerful, versatile, and rugged ride in all conditions. Its small and compact size helps the rider for easy maneuvering through the tighter trails. Its specially designed engine of 250 class delivers plenty of low-rpm torque and massive power. The Honda Brand has used the two-wheel-drive layout in it, which is helpful for more efficient power transfer. The new 2017 Honda FourTrax Recon ATV is the smart choice for smart people. 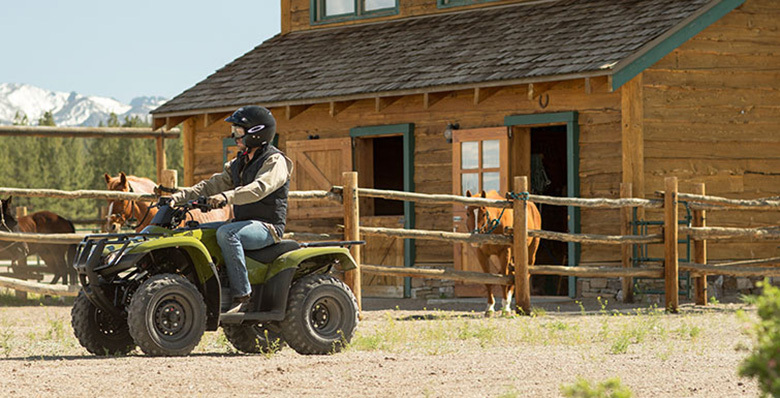 This quad bike is usually recommended for riders of 16 years of age and older. Have a look on the review of new 2017 Honda FourTrax Recon ATV. The all-new 2017 Honda FourTrax Recon ATV features the compact and lightweight engine design. It features the semi-dry-sump and a new overhead valve. This overhead is specially designed to make the engine shorter from top to bottom. It offers the best handling experience due to its low center of gravity plus better ground clearance. It features the efficient, clean and power shaft that requires low maintenance. This shaft drive is a fantastic choice for the machine like 2017 Honda FourTrax Recon ATV. The rider should not worry about the lubrication. He should only focus on the pleasant ride. The route of the flow of power is directed straight to its wheels without any right-angle detours. This mechanism reduces the overall powertrain friction and puts more grunt to the ground. The ATV uses an electric starting system, the rider just has to turn the key and push the button. The backup recoil system is also available for added confidence. It features the new Electric Shift Program (ESP) that offers the best shifting experience between the gears. Now the upshifting and downshifting are very simple and fast just by pushing one of the two handlebar-mounted buttons. 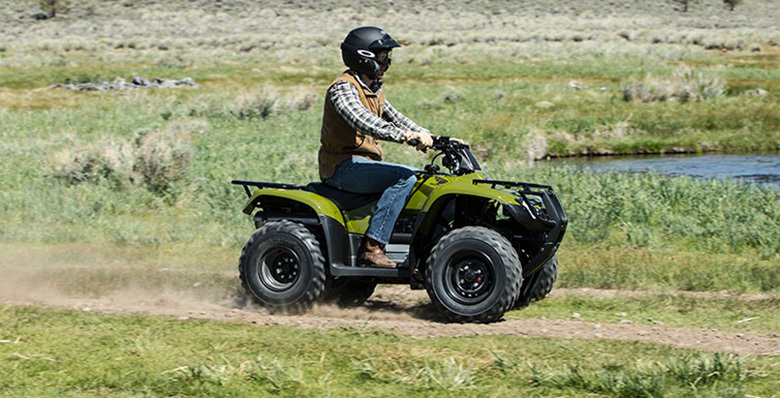 The new 2017 Honda FourTrax Recon ATV features the small and compact chassis with a charming color combination. It has distinctive floorboards that lets the rider’s feet to grip the footrest while protection from the debris and mud. The reverse lever is attached on the left handlebar along with the parking brake, it is very easy and simple to use. The front and rear steel cargo racks let the payloads of 33 and 66 pounds respectively. The new 2017 Honda FourTrax Recon ATV features the new LED taillight and a brake light, which are durable and offer long-lasting lighting. The new 2017 Honda FourTrax Recon ATV comes with the price tag of $4,099 only. Note No operator under age 16. Honda recommends that all new ATV riders should take a training course and study their owner’s manual thoroughly. This article is all about the review of a new 2017 Honda FourTrax Recon ATV and is covered under www.bikescatalog.com. It is an amazing ATV having the powerful engine with compact and durable chassis. The wheel and tires offer an excellent grip and traction on all kind of surfaces. Don’t wait and purchase one for yourself.